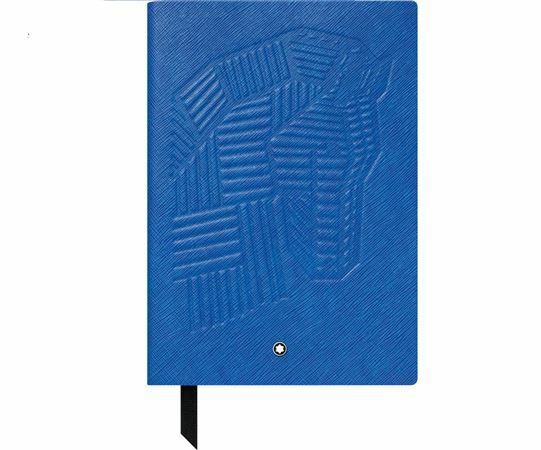 Order your Montblanc 146 Writers Edition Notebook Homer Lined today from FahrneysPens.com. Fine Pens, Refills & Luxurious Gifts – great prices & fast shipping. By introducing the new Fine Stationery line, Montblanc strives to fulfill its dedication to writing culture and the pleasure of writing. This product line represents both Montblanc’s signature and tradition for excellence as well as a contemporary spirit. Homer is perhaps the greatest of all epic poets of Ancient Greece. 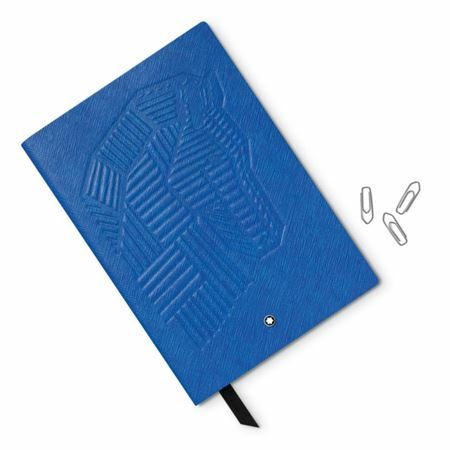 The stationery's cover is finished with Saffiano print and embossed with the Trojan horse and a black inside, completed with elegant silver cut edges and a black bookmark. 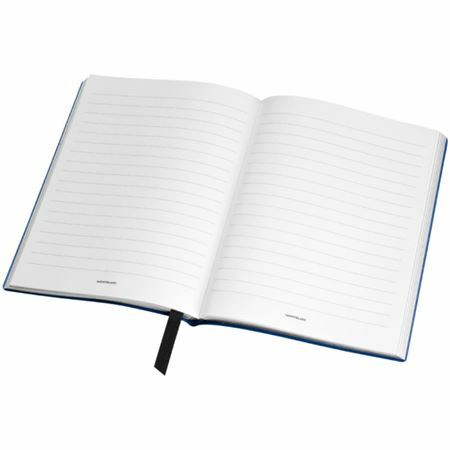 All Fine Stationery products are manufactured in Italy, crafted with the finest Saffiano leather and high-quality 85 g/m² paper with 96 sheets / 192 pages watermarked with the Montblanc emblem. Dimensions 150 x 210 mm.